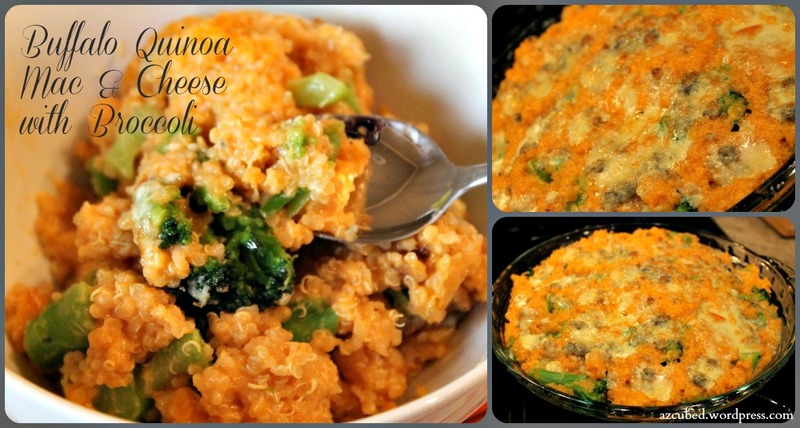 Buffalo Quinoa ‘Mac’ and Cheese….with Broccoli! September 18, 2012 By arzea 28 Comments This post may contain affiliate links. Read my disclosure policy. So this is just an update of a previous recipe, but it’s still worthy of a post! I followed the recipe for Buffalo Quinoa Mac and Cheese, and added broccoli. Anyway, I realized that you can add any veggie you like in regular mac and cheese, to bulk up and add extra healthy filling to this protein packed recipe. Last night I even tried it with cauliflower, and I couldn’t even tell the cauliflower was in there…the texture was almost identical to the quinoa! With this recipe being under 500 calories per servings, it might not be ‘diet’ food, but it’s not a crazy splurge either…it is the right balance and it really is healthy with all the protein and calcium. I eat this as a full meal, but it could easily be served as a smaller side. What I did was just follow the original recipe, steamed the broccoli, and then mixed it all together at the end. Put into the dish, and broiled. Cook broccoli (do not overcook) in microwave/on stove/however you want. Set aside. Remove the pan from the heat then add in buffalo sauce and cheddar cheese. Season with a few dashes of salt and pepper. Stir until the cheese is completely melted then add in cooked quinoa, and stir to combine. Add the broccoli, stir to combine. Pour into a non-stick sprayed casserole dish and top with blue cheese. Broil for 5-7 minutes, or until the cheese is golden brown and sauce is bubbly. You can also use individual ramekins (I did). Like us on Facebook for frequent updates and tips! This looks delicious 🙂 THANK you for liking my blog, because it lead me to yours! 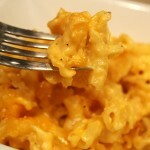 Although I will admit it made me a little sad as I sit here at my computer desk eating my Lean Cuisine meal that tastes like salted cardboard… I think I am going to try this mac and cheese recipe tomorrow night! 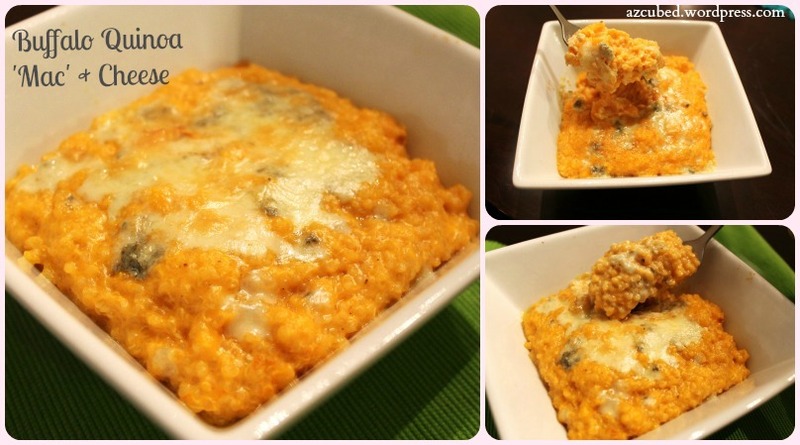 I never thought of using quinoa for “mac” and cheese, I’ll have to try it! I am very excited to try this! 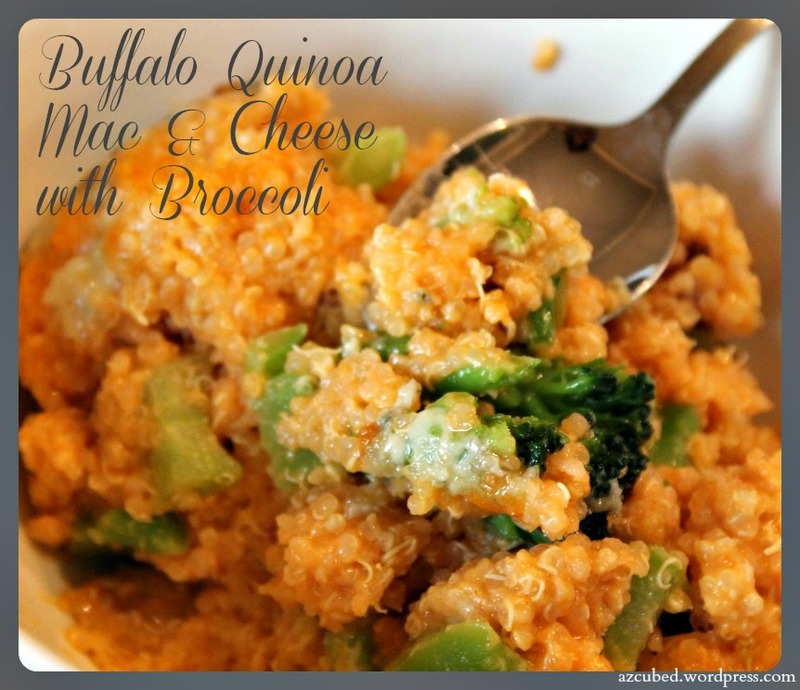 Mac and Cheese is one of my favorites…but I no longer want all the refined wheat from the pasta… Quinoa is super yummy… and the addition of the buffalo sauce! This may go on the meal plan for next week! Yes, quinoa is the perfect food! Let me know if you try it and how you like it! It is soooo good. I seriously start salivating just looking at it. Let me know how you like it! This is a delicious recipe – I made it a couple of weekends ago. We made it as a side dish, served with roasted chicken and a salad. It was SOOOOOO good! Thank you for stopping by, Shannon! I am happy you liked it…I seriously start drooling just looking at the pics. This is by far my husbands favorite ‘healthy’ recipe. This looks sooo yummy ;A;…. I would love to make that next time! It is delicious! Thanks for stopping by! This looks amazing. Buffalo chicken is my favorite flavor. I’ve never had Quinoa. I have weird food issues, and I’m nervous about trying it. More like, I’m nervous about cooking it. I’d feel better eating it from someone that knows what she’s doing first, then attempting it… that way I’d know if I didn’t like it or if I cooked it wrong. Haha. The thing I always hear people say about quinoa, is that they don’t know how to cook it, and then they don’t end up liking it, or they have a bad experience. Do you like cous cous? The texture is very similar to that, only a little heavier…like cous cous mixed with rice maybe? Thanks for the info! I’m definitely going to give it a try as soon as I can find some. Is it usually in with the rice/cous cous? I’ll never know if I don’t try it! It is usually in the organic section, by the rice in there. It is usually in little boxes. You can also find it in the bulk bin at whole foods. Let me know how it goes! OMGosh …. I think I just died! This sounds so good! Pinned it!! Just wanted to thank you for linking up last week and let you know the party is live now! 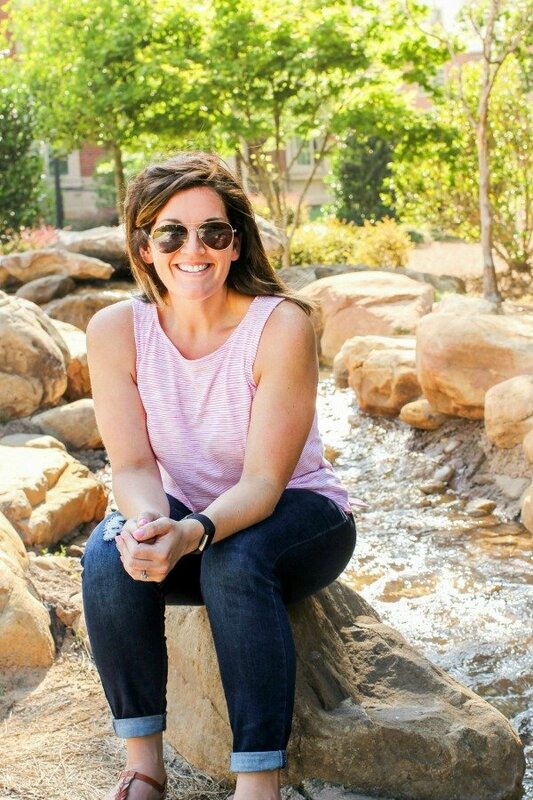 I can’t wait to see what you share this week at All my Bloggy Friends! Thank, YOU for hosting!!! Let me know how you like it, if you try it…it’s soooo good! Update! Made this! Loved it!!! (And then made it again the next week) Sending this recipe to my Mom too… thanks! I am so happy you liked it!!! I have made it a few other times with other various veggies, and it’s always good. How can anyone resist buffalo sauce?! Another great way to get broccoli into kids… and hesitant adults! Sounds delicious. I found you on Gingerly Made. Have a great day! Thanks, Lisa! I am happy you found this, because this recipe is seriously delicious!!! Truth be told, it’s a good way to sneak in any vegetable! Thanks for coming by!